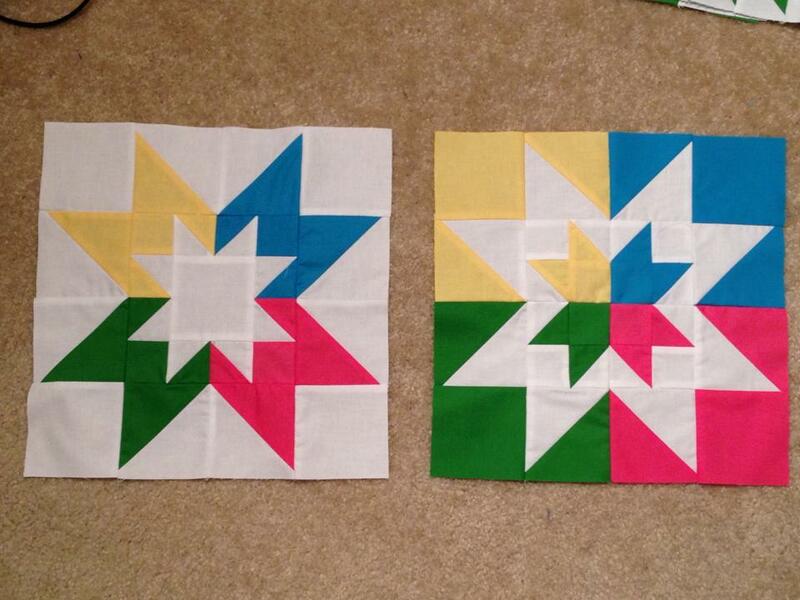 Now that I have the gift quilts finished and en route to their recipients, I can work on other projects. 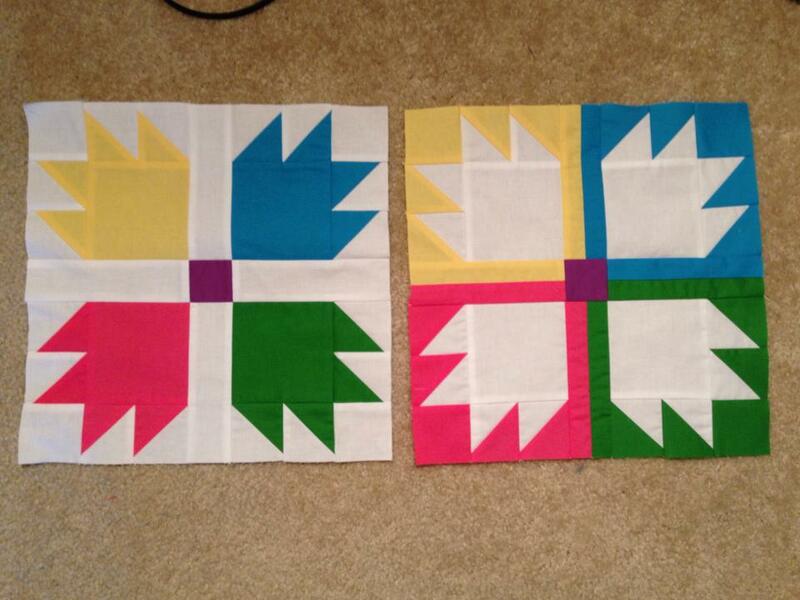 First up was making the last few blocks for GenXQuilter’s Vice Versa BOM. 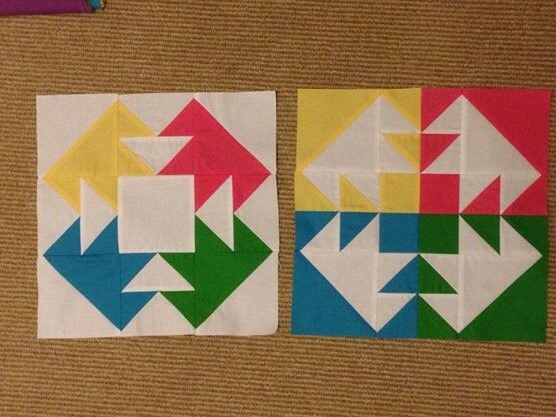 For this BOM, each month we made 2 blocks – 1 with the “standard” color placement where you have a white background and colored fabric making up the shape, and then reversed with the white in the shape and then the background is the color. 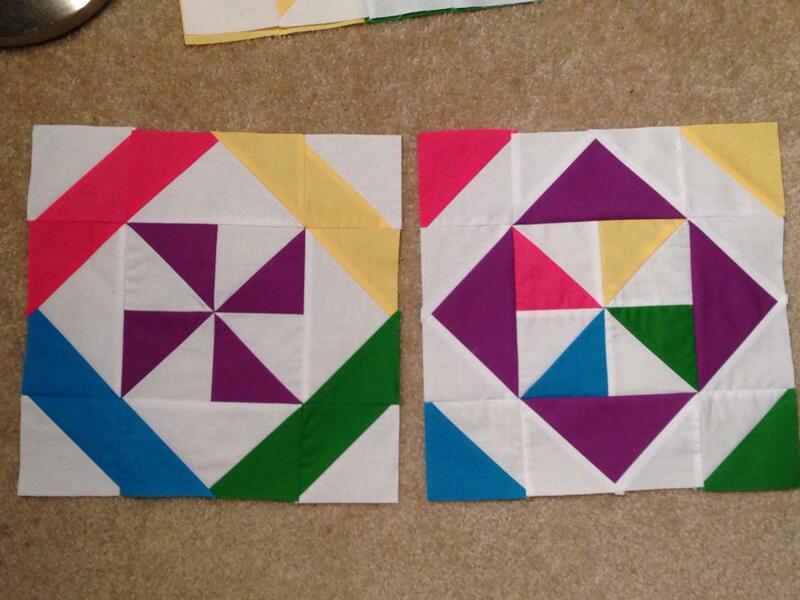 So every block in the quilt has an inversed buddy. This was really fun to make and I’m looking forward to exploring inversing (it’s a verb 😀 ) blocks more in the future. 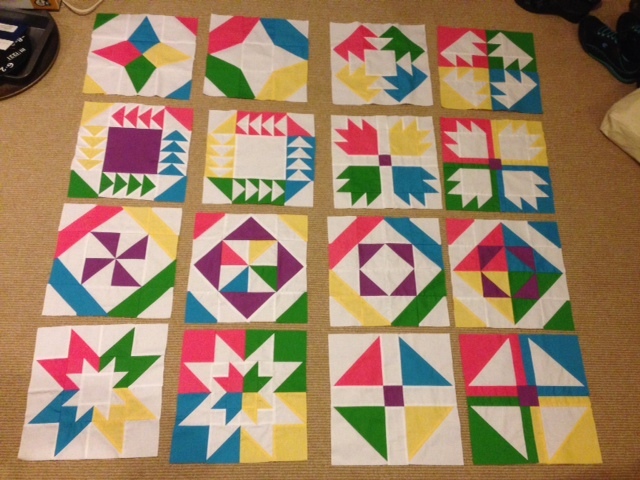 If you’ve never participated in a Block of the Month (or BOM) I highly recommend it. 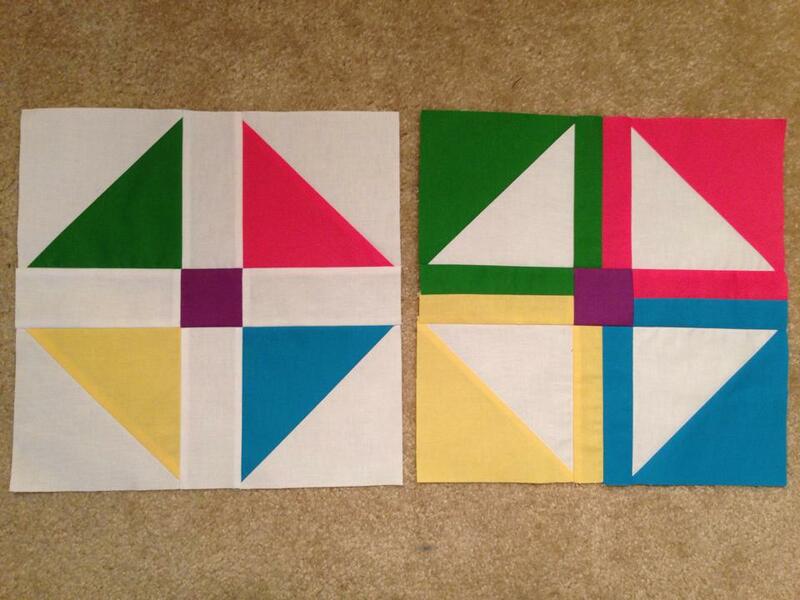 I’m doing Gen X Quilter’s Vice Versa BOM. The provided patterns are incredibly well written and descriptive. 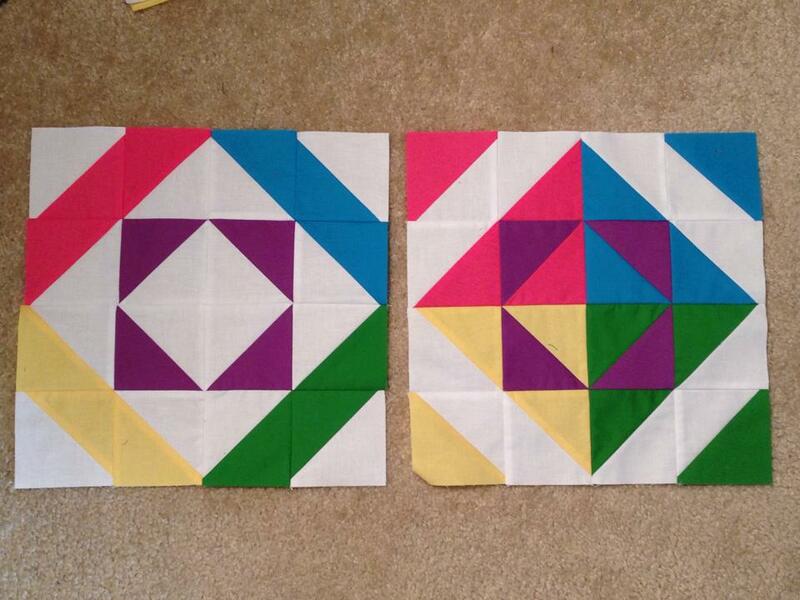 She provides instructions for both 9″ and 12″ finished blocks. 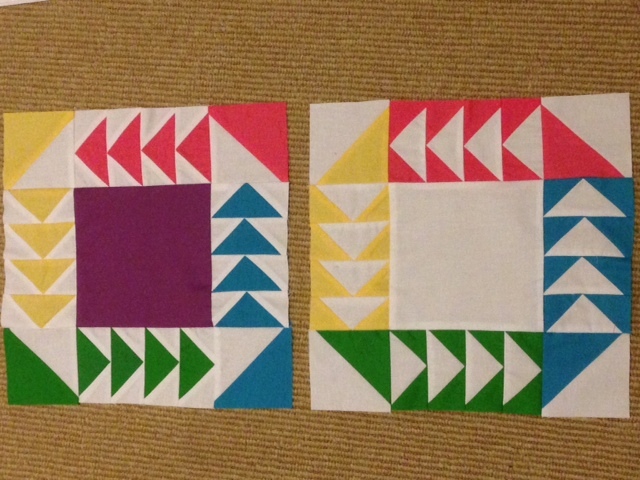 I have done my blocks through June, so I’m only a little behind! 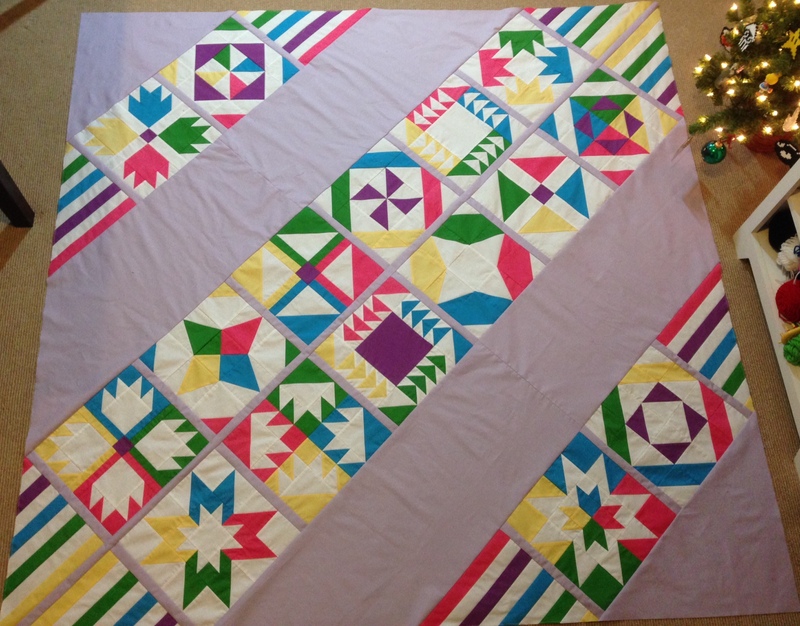 I chose to use some bright Kona Cottons. 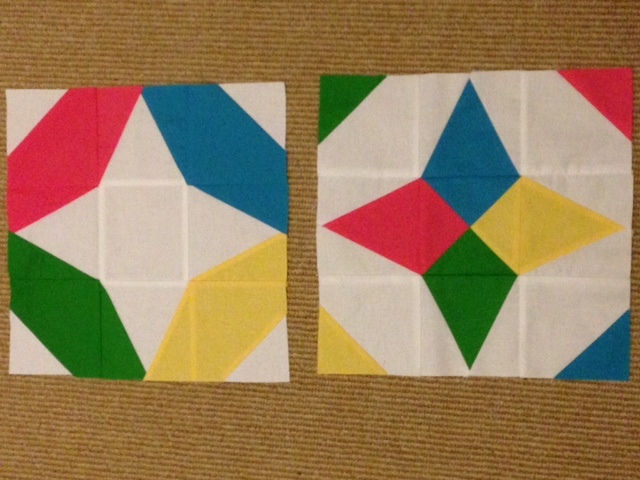 I’m currently going through a solids phase. *Update* I finished July and August tonight, so they’ve been added to the pictures. All caught up and ready for September!